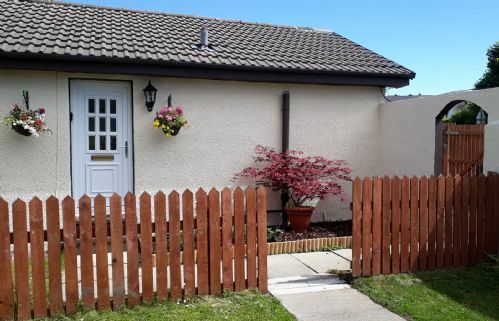 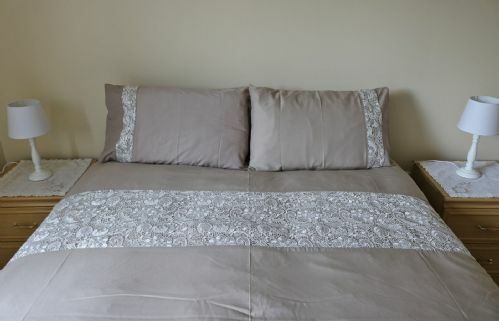 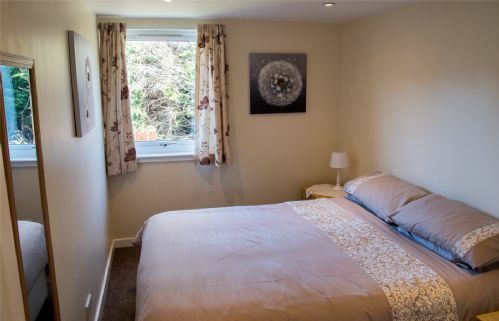 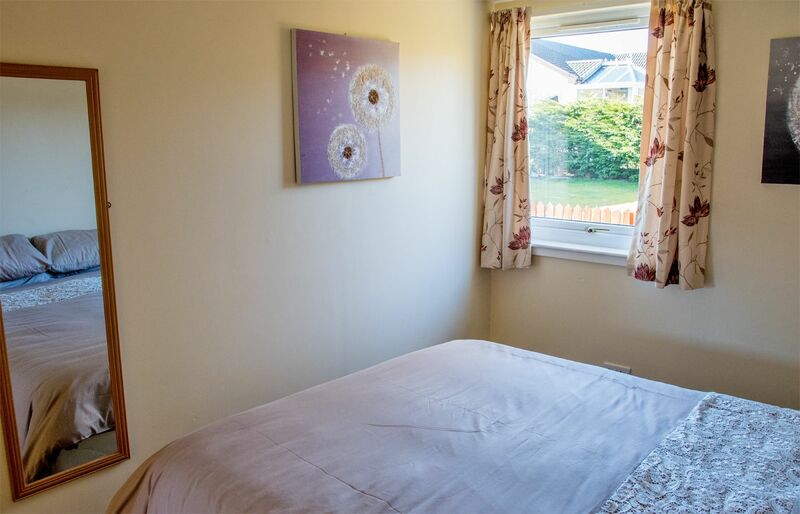 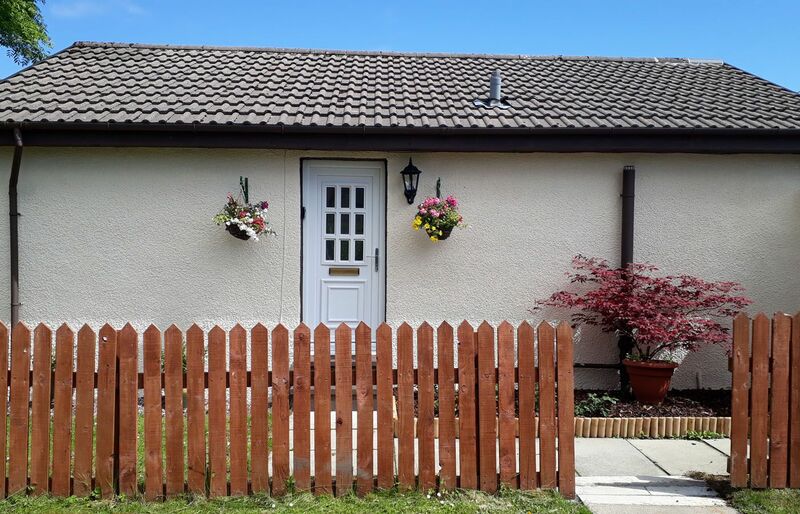 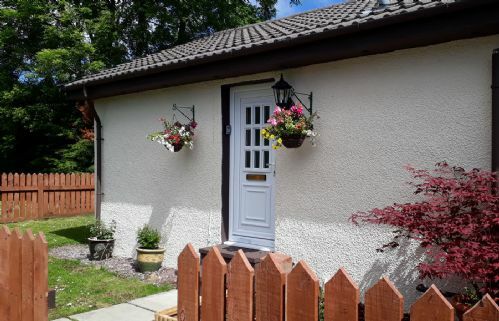 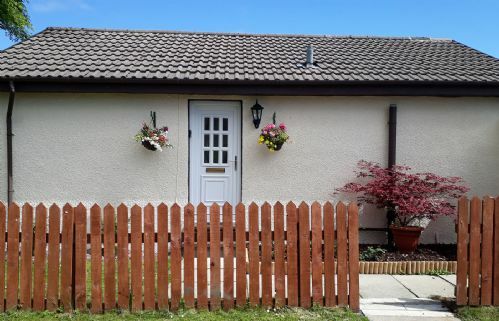 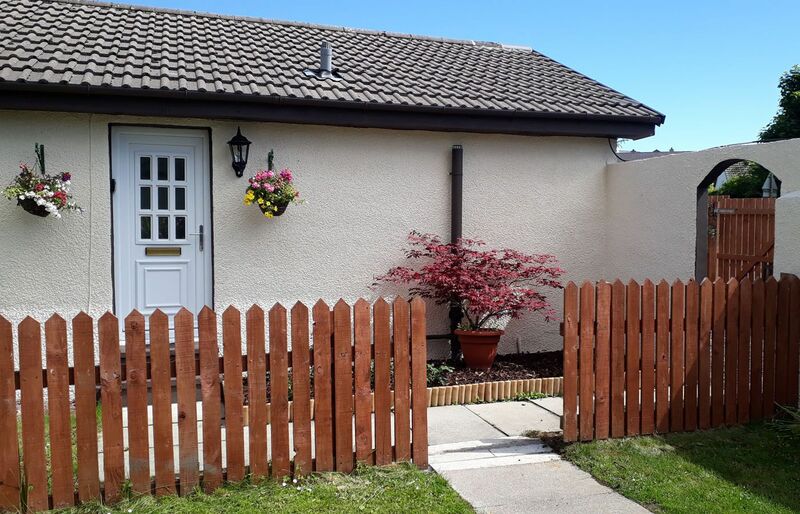 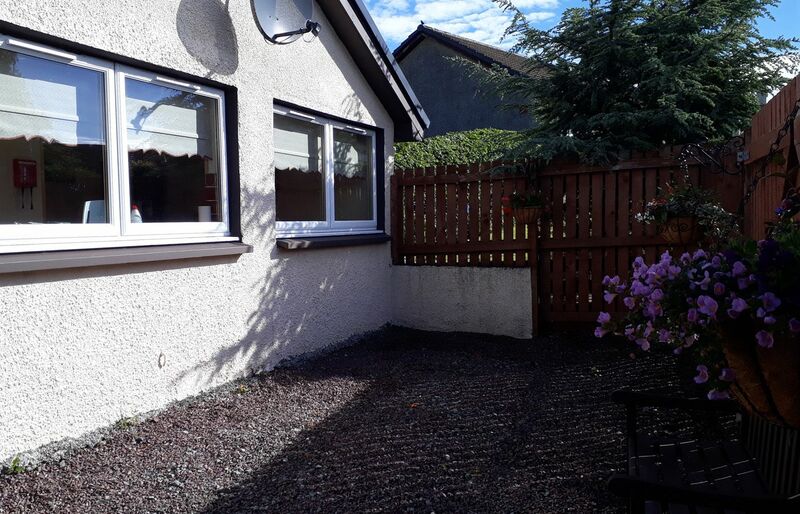 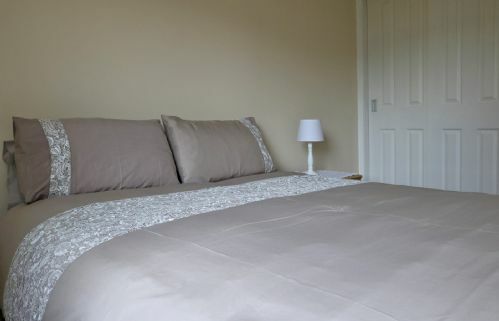 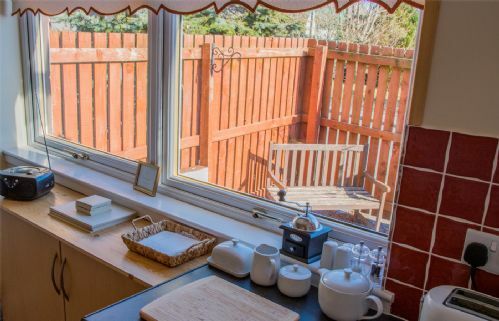 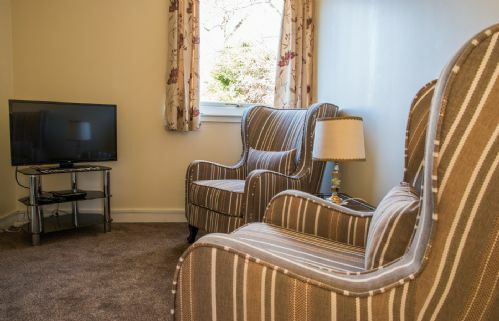 Glamaig Cottage is a cosy one bedroom holiday cottage set in the grounds of the Owners' home, just five minutes walk from the village centre. Within the village there are numerous restaurants, cafes and hotels for evening meals, whilst local shops and boat trips from the harbour along with local walking tours and cycle hire to create relaxing days. 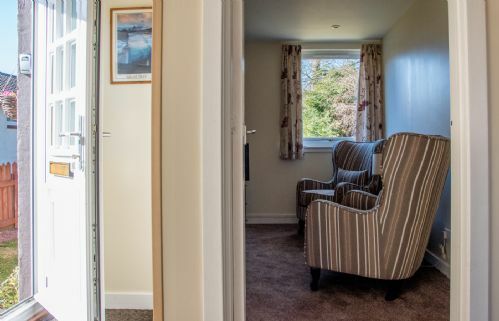 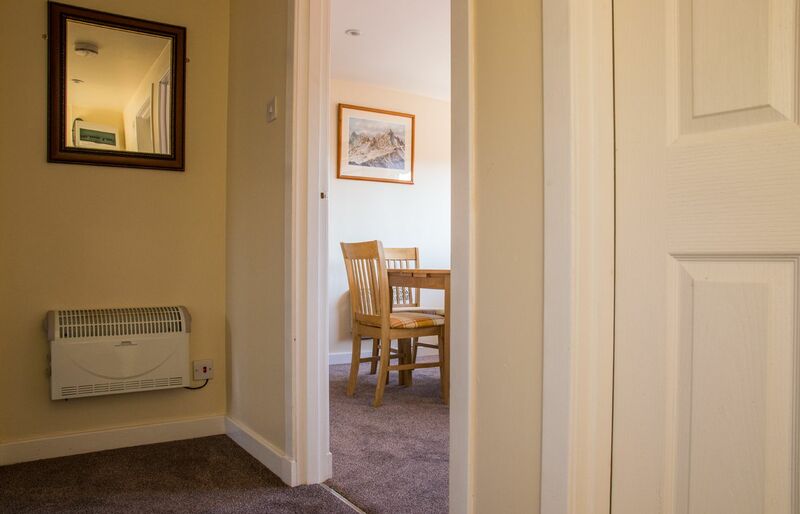 The entrance to Glamaig Cottage consists of an entrance hall with coat hooks, leading off to a snug lounge with two fire side chairs and a wall mounted log effect electric fire. 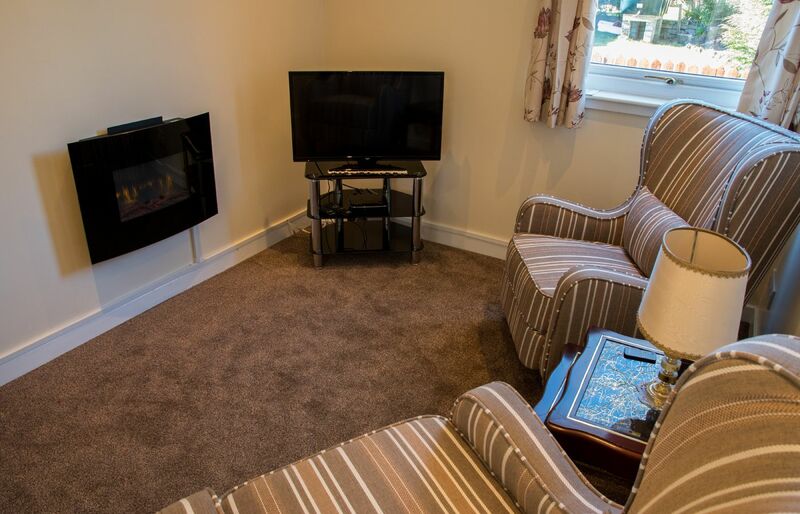 A flat screen TV with FreeSat and intregal DVD player along with a small selection of DVD's. WiFi connection is available. 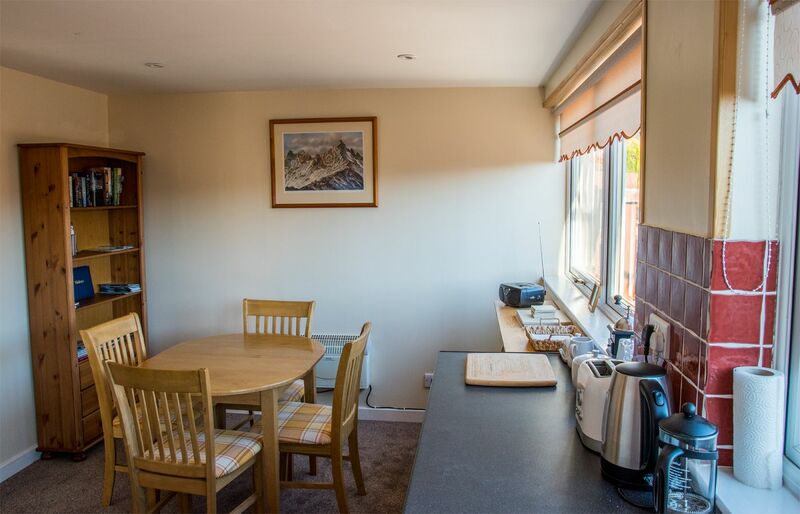 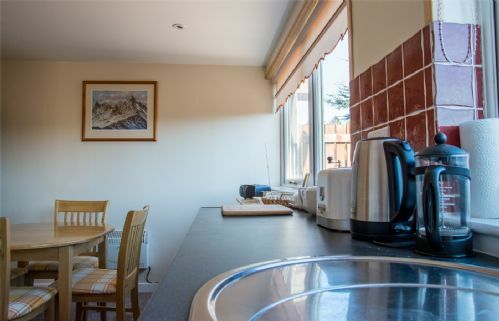 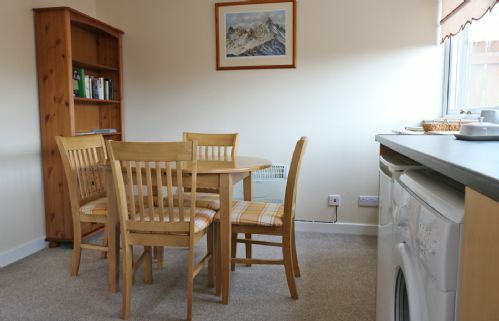 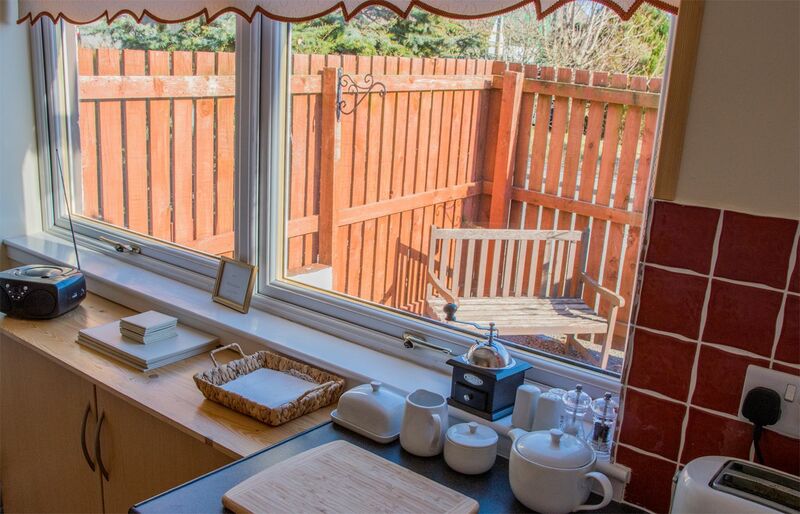 The kitchen diner is light and airy with table and chairs with views (on a clear day towards the Cuillin). 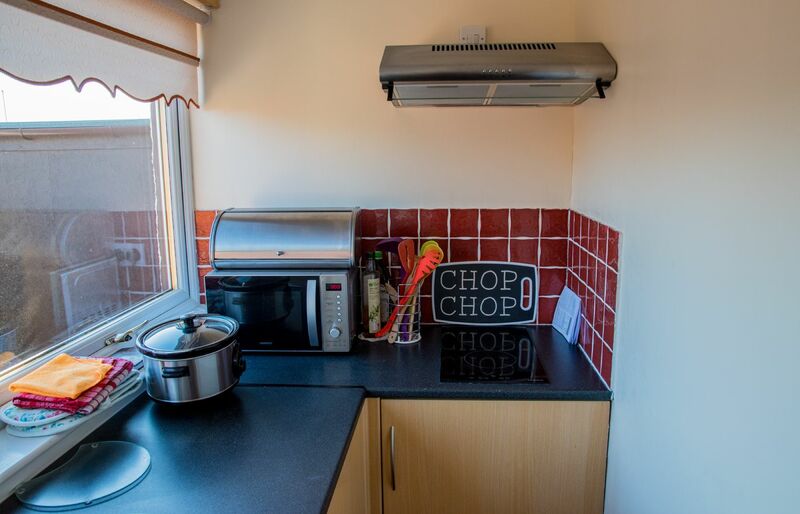 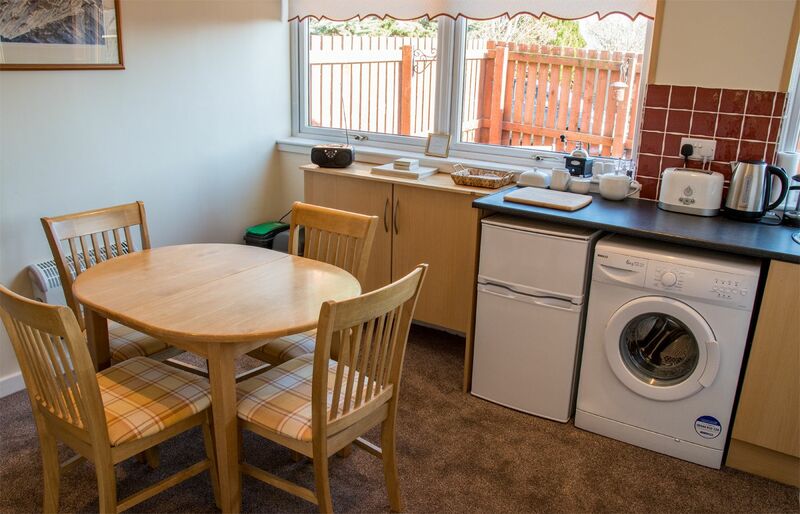 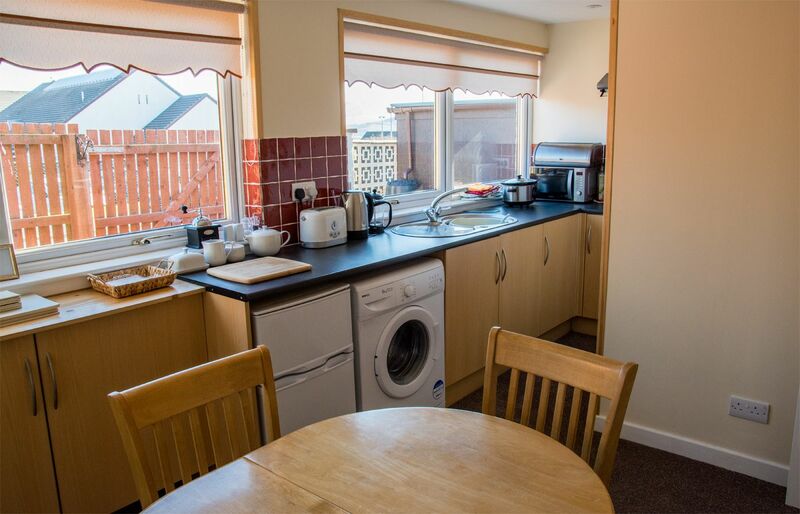 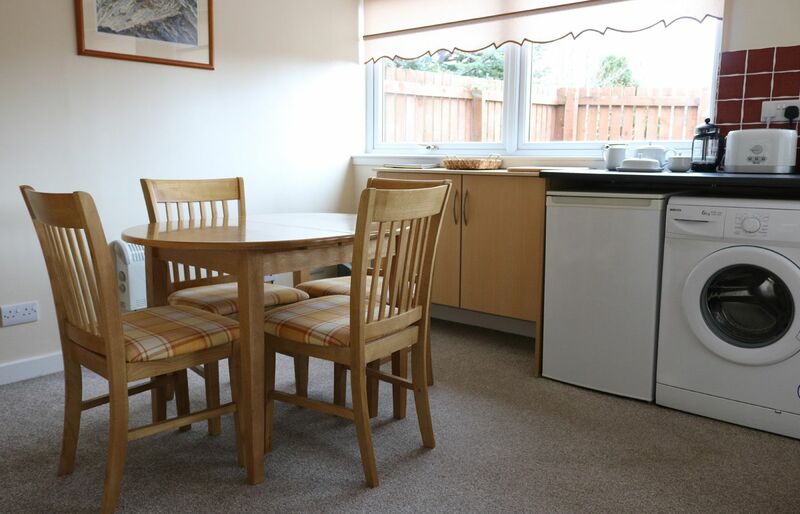 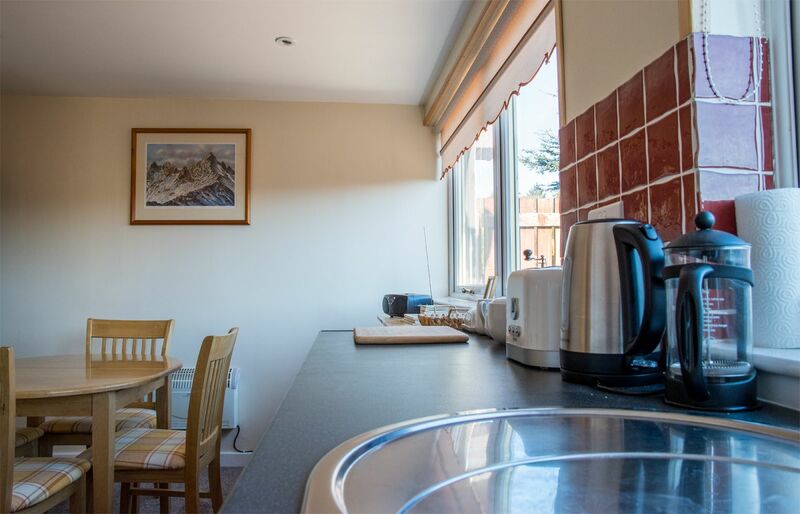 The galley kitchen consists of a two ring ceramic hob, slow cooker, microwave, fridge / freezer, extractor fan, toaster and washing machine. There is also an ironing board, iron and vacuum. A radio/CD player is also provided, again with a small collection of CD's. Please note there is no conventional oven. 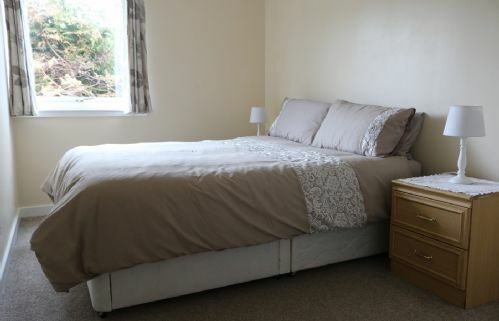 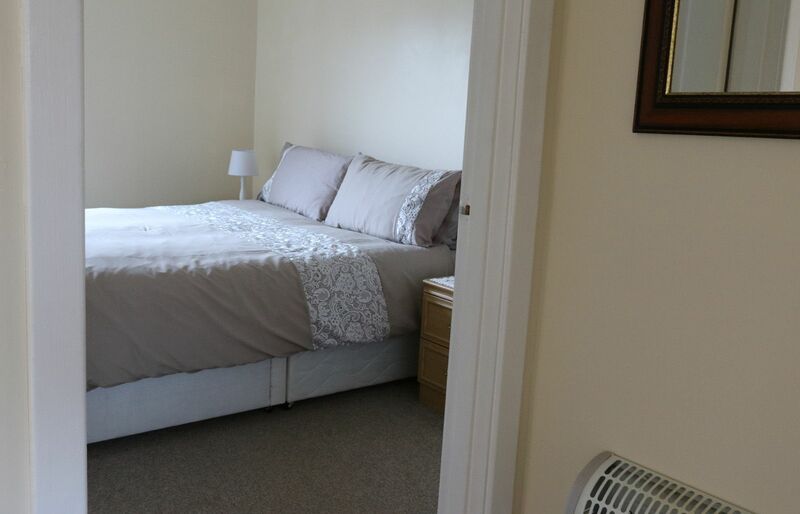 The bedroom features a king size bed with two bedside cabinets and reading lamps a large built-in wardrobe and full length mirror. A hair dryer is also provided. 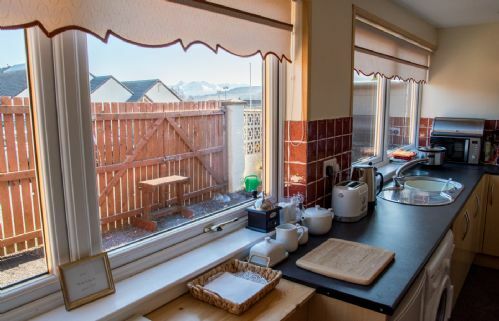 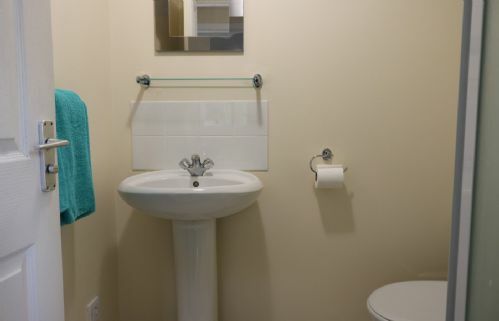 The bathroom has a warm air heater, shower cubicle, wash hand basin and W.C.
Set within a small enclosed garden, Glamaig Cottage welcomes well behaved pets. 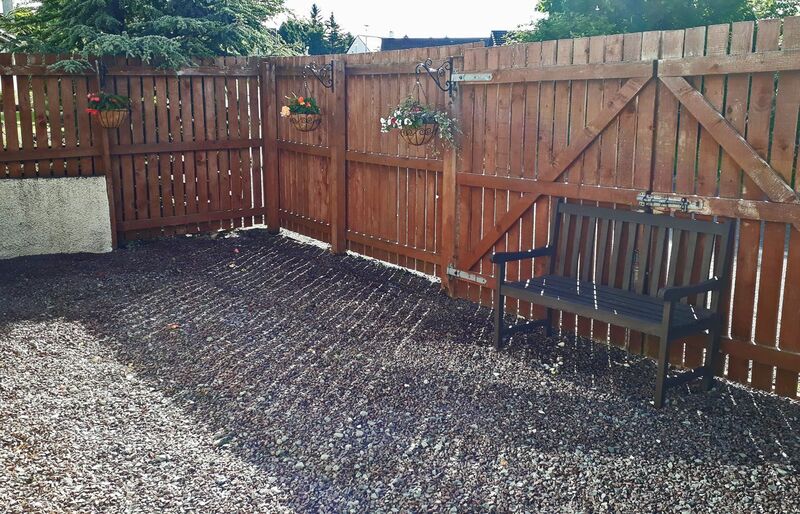 There is an enclosed gravel courtyard which along with the majority of the cottage, is a sun trap and suitable of BBQ's - weather and wee beasties prevailing! 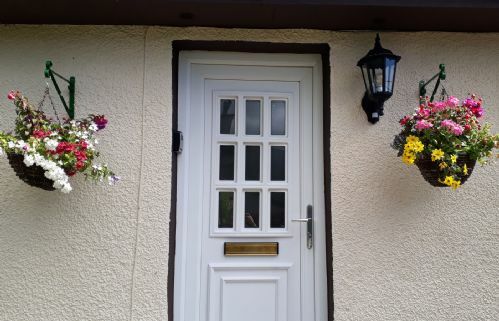 An outside courtesy light assists for darker nights. Parking is within Owner's property to which you will be directed upon arrival, just a few yards away from drop off point.